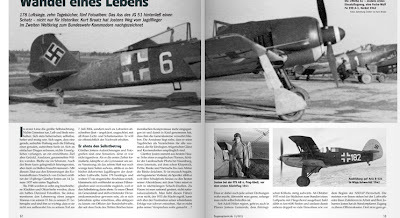 Günther Josten's remarkable wartime service with JG 51 is the subject of this latest volume from Kurt Braatz at Verlag/'Edition' 296. 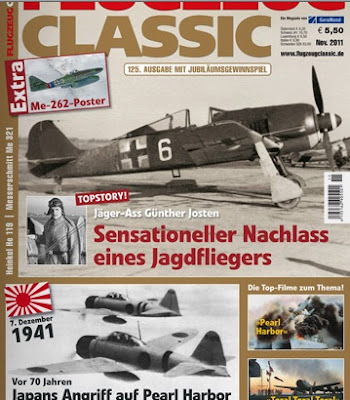 A large extract from the book is published in the November 2011 issue of Flugzeug Classic magazine (cover llustration above). 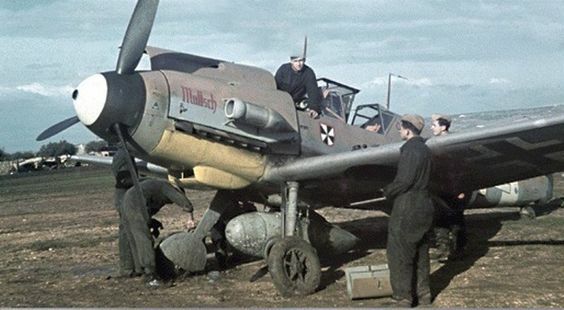 Assigned at the end of August 1942 to 3./JG 51 on the Eastern front Josten kept a diary both of his combat actions and his front-line Luftwaffe service, which 296 have published essentially in un-edited form with only a brief commentary introducing each chapter of his career. Josten's 'scoring' run began during the Kursk offensive in the summer of 1943. On 10 July 1943 he made claims 8 to 10. Three days later on 13 July he shot down five Il-2 Sturmoviks for victories 12 to 16. In total he claimed 19 victories in July and 30 in August 1943 to begin a remarkable run that saw him achieve some 178 victories over 420 combat sorties without ever being shot down himself. The war ended for Josten as Gruppenkommandeur of IV./JG 51 - his last seven aerial victories being claimed on 25 April 1945 - by which time he has filled no fewer than ten diary volumes and five photo albums, a fantastic legacy that Kurt Braatz has fully exploited in this new work. His brother, Reinhard Josten, also served in Jagdgeschwader 51 and was killed in action on 21 April 1942. 09 July ; I'm woken again early by aircraft low over the field waggling their wings ! A lot of victories again. Well, my turn tomorrow, I'm flying the early sortie in the morning..as it is I fly the second mission of the day. As soon as we get airborne we hear that there's a lot of aggro going on over the southern sector but by the time we get there, there's nothing to see. Not a single Russian. At this rate I shall soon depair. At midday I'm up again with Oskar and he manages two Zement bomber. I could p...!...but I'm happy enough anyway as Lt. Brendel manages his 50th and we have now achieved 400 in the Staffel with the 'kill' returned by Ofw. Kossatz. This afternoon I was up again, this time flying with the 'boss' and hoping to have more luck with him..we spot six MiG 3s but no sooner have they sighted us than they high tail it for home..! At 20:15 Fw. Moritz Franke's Ferntrauung (marriage by proxy). Very nice. The Kommodore is with us for the rest of the evening's festivities. Moritz and Piepel are awarded the EK II and the combat clasp in bronze (bronzene Frontflugspange). I get the silver combat clasp for sixty sorties. Well, a bit of a consolation prize for my run of bad luck you could say .."